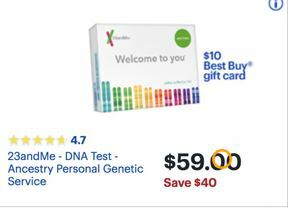 Find the best deals on genetic testing kits from 23andme, Ancestry.com, and others this Black Friday 2019. Most of these companies will offer steeply discounted prices on DNA testing during Thanksgiving weekend from Thanksgiving Day to Cyber Monday 2019. It makes a great gift for the whole family and is very easy to use. It’s already been a conversation piece at some of my family gatherings. Unlocking your DNA can let you know more about your family’s history as well as make you aware of some DNA markers for potential medical issues. 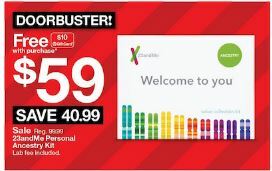 We will keep an eye on the two major DNA testers in the market, Ancestry.com and 23andme, for promotional offers, discounts and special deals on Black Friday 2019. We are committed to finding the best deal so you can get the most for your money to kick off the holiday shopping season. Click Here to Save 50% on the AncestryDNA Genetic Testing Kit on Amazon for CYBER MONDAY. Beyond the DNA testing Ancestry.com, for an additional subscription based fee, has huge data bases of historical records and newspapers, so you can really dig into your family’s history. The subscription fees start at $19.99 for US records, $34.99 for US and International and $44.99 for all access. For Black Friday 2018, we expect there to be a price drop to $59 dollars and significantly discounted subscription fees. We will keep an eye on the Black Friday prices so you don’t have to. 23andme has nearly 2 million people in its database. The sampling and process is very similar to Ancestry.com, spit in the tube, send away and wait for the results. The shipping isn’t free with this one, but does have a lot of other features. 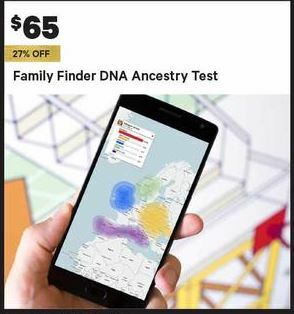 They have two different service levels $99 for an ancestry profiling and $192 for both ancestry and health. The health related DNA results provide information on genetic markers for certain diseases and medical conditions. It will also provide some information on a few other genetic traits such as, weight and hair loss. As of earlier this year 23andme provided information on ten genetic markers. 23andme has been working with the FDA to get the testing data approved and they continue to roll out information on additional genetic markers as the FDA approves them. The important thing to note is that having any of these genetic markers is no guarantee that you will develop any specific health issue(s). It is about providing the customer as much information as possible, so they can make informed decisions. Ancestry sold nearly 1.5 million kits nearly triple how many they sold during the same time in 2016. We expect the number of DNA kits sold to exponentially increase again for Black Friday 2018. It does make for a great gift that will keep the holiday table topics away from politics. 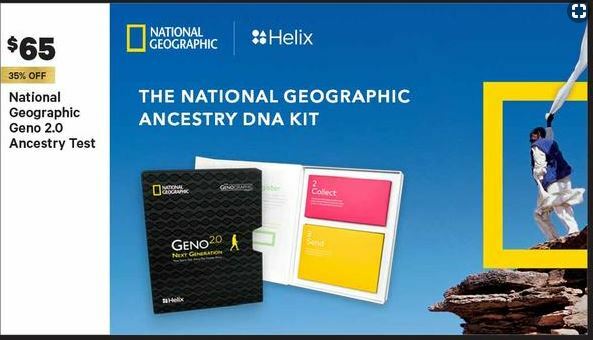 There will defiantly be steep discounts at Ancestry.com, we are expecting $59 price range for basic DNA kits. People are extremely interested in 23andme health DNA profiles, so we are expecting a big discounts here/ Check back for more details on the best prices as we close in on Black Friday 2018. We will be watching for all the best deals and discounts so you don’t have to.